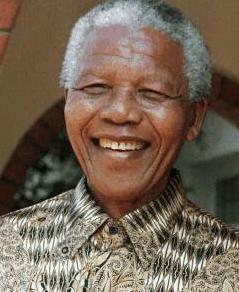 On behalf of SAIDI Members, we too express our deepest condolences for the family and friends of former President, Nelson Mandela, who passed away on Thursday 5th December 2013. He was the right man in history at the right time to lead our country out of apartheid into the New South Africa where each person is regarded as equal, as it should be. We are saddened by his death. He was loved and respected by the whole world for his ability to forgive, after 27 years in prison, for standing up for his ideals. The Bible says, “No greater love has any man than to lay down his life for another.” It is Christlike to forgive. No wonder the world put him on a pedestal! May we too be able to emulate his ability to treat each other and everyone with love and kindness.